Benson Lee is an award-winning Korean American filmmaker who has worked in drama, documentary and commercial production for over 15 years. Mr. Lee’s first feature film, Miss Monday, was awarded the Special Grand Jury Prize for Best Actor at the Sundance Film Festival. 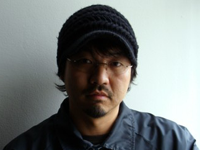 He recently directed a remake of his acclaimed documentary, Planet B-Boy, which will be released at the end of 2012. 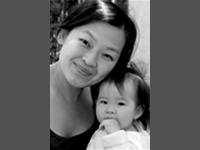 Robynn Takayama has contributed to national and local public radio programs and the Peabody-awarded documentary on Asian American history, Crossing East. A graduate of the KPFA First Voice Apprenticeship, she served on the CPB-funded Makers Quest Talent Committee, charged with finding the most imaginative producers, reporters and sound artists and urging them to take public radio beyond its traditional airwaves. She currently produces Apex Express, an Asian American show on KPFA that airs Thursdays at 7 p.m.
Priya Giri Desai’s work spans print, TV and film. 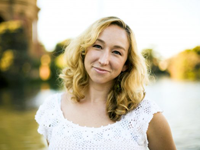 She has worked for Life Magazine and PBS, as well as with independent projects like the DuPont-winning series Unnatural Causes, which examined health outcomes for new immigrants, and Enlighten Up!, about America’s yoga movement. She is currently in post-production on Match+, a feature-length documentary about marriage matchmaking for HIV+ people in India. She is drawn to projects that focus on the intersections of human experience and culture. 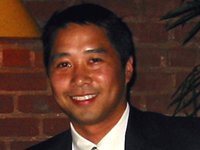 Vincent Pan is the executive director of Chinese for Affirmative Action, a community-based civil rights organization that advocates for systemic change to protect immigrant rights, promote language diversity, and advance racial justice. Vincent has also worked with the Clinton Foundation to start HIV/AIDS treatment programs in China, and co-founded and led an AmeriCorps organization that runs after-school and summer programs for low-income public school students. Vincent has been a fellow with the Center for Social Innovation at Stanford University, the Echoing Green Foundation, and the Stride Rite Foundation. 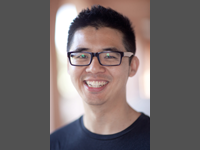 Brian Hu is the Artistic Director of the San Diego Asian Film Foundation, as well as a film critic, teacher, and scholar. 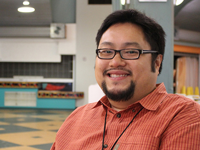 His writings have appeared in books and scholarly journals, in addition to the online magazine Asia Pacific Arts, which he co-edited from 2006-2011. He has taught courses at the University of San Diego and California State University Fullerton, and has lectured on cinema throughout the United States and Asia. 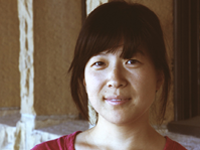 Momo Chang is a freelance journalist based in Oakland, CA. She is a former staff writer at the Oakland Tribune where she covered Asian American communities. Her work has also appeared in The American Prospect, ColorLines and East Bay Express, among others. 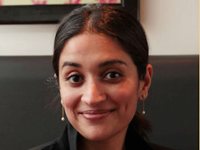 She co-produced the documentary Enforcing the Silence (2011) and is currently features editor at Hyphen. Splitting his time between Los Angeles and Honolulu, Anderson Le has worked diligently in promoting independent and world cinema as director of programming for the Hawaii International Film Festival (HIFF), which is now heading into its 32nd year. In addition to his duties at HIFF, Le also serves as Festival Artistic Director for the Los Angeles Asian Pacific Film Festival. He has served on juries for the Rotterdam, Singapore, and Hong Kong film festivals. With 10 years of experience in media and arts education, Skye has worked both as an instructor and administrator at multiple Bay Area colleges and arts nonprofits such as San Francisco State University, Fine Arts Museums of San Francisco and the Museum of the Moving Image in New York. As a 2nd-generation San Francisco native, Skye is committed to supporting independent media in the Bay Area. Skye holds a B.A. from UC Berkeley and a M.A. from San Francisco State University’s Broadcast and Electronic Communication Arts program. 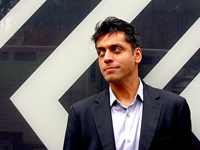 Wajahat Ali is a playwright, attorney, journalist, and humorist from the Bay Area, California. His award winning play, The Domestic Crusaders, was published by McSweeney’s in 2011 and is one of the first major plays about the Muslim American experience. His commentaries and essays have appeared in The Guardian, Washington Post, Salon, Huffington Post, Slate, McSweeney’s and CNN. Currently writing a pilot for HBO with Dave Eggers, he is also co-editing the book I Speak For Myself: 45 American Men on Being Muslim, which will be released in Summer 2012. 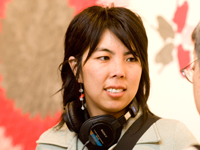 Mina T. Son is an award-winning Korean American documentary filmmaker whose films have screened at several prestigious film festivals and museums, including the National Gallery of Art, the Margaret Mead, Traverse City, Mill Valley, and Cinequest film festivals. She ventured into the world of filmmaking in 2006 with her first short documentary, In My Home, about her experience as a full-time caretaker for her mother. Top Spin, which she co-directed with Sara Newens, an official selection of SFIAAFF29, is currently being adapted into a feature-length documentary. She is currently an M.F.A. candidate in documentary film and video at Stanford University.